Record Breaking cold and snowfall in the St Louis Metro area has a lot of folks holed up, but they still have a very healthy curiosity about what's outside their four comfy walls. St Louis Time and Temperature -- which can be dialed at 321-2522 from any area code -- has received over 50,000 calls the past couple of days. 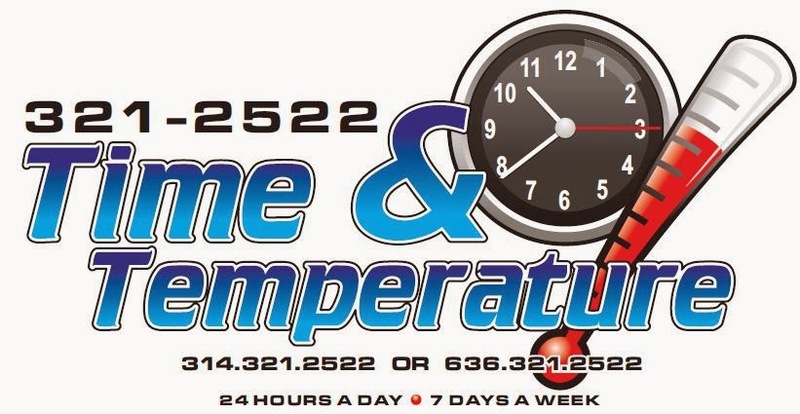 Attorney Mike Carter, who runs the service says "our free TNT service normally does see a massive call spike at daylight savings time and during super hot and super cold snaps, but I have really never seen this big of a jump in calls." The St Louis winter storm the past couple of days is very reminiscent of the 1982 St Louis blizzard when children and some adults were off school and work for as many as 5 business days. Most schools now in 2014 have already called off school tomorrow in addition to today. All People in the St Louis area can dial 321-2522 -- the nearly 100 year old Time and Temperature service phone number -- from their home or cell phone for free 7 days a week, 24 hours a day for the most accurate time, temperature and short weather forecast provided by the National Weather Service. Mike Carter bought the service in 2005 after Bank of America decided the service didn't work with its marketing mix.